World Sleep Day (March 17, 2017), organized by the World Association of Sleep Medicine, is not only drawing our attention toward how important sleep is to our health, it's leaving parents thinking hard about the burden of sleep problems that our children experience. And rightly so; sleep problems are one of the most common concerns parents of young children bring to my clinic. A child who cannot sleep impacts the whole family. 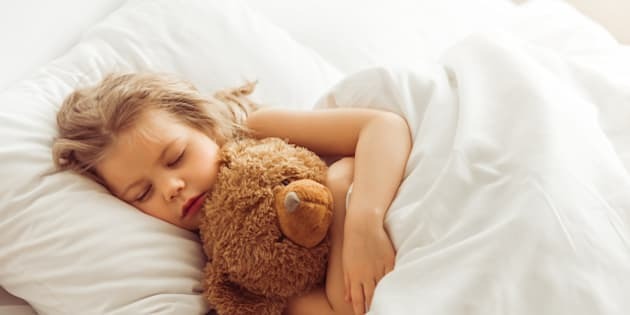 The connection between children's sleep and their overall brain health is undeniable. In fact, widely published research tells us it's the gateway to our child's entire well-being. Sleep affects children's ability to manage emotions, regulate behavior, integrate information, and to focus. Without the requisite 10 to 12 hours of sleep recommended by The Canadian Pediatric Society (most children are getting only nine), schoolchildren aren't just facing a cranky day -- if the problem continues long-term, their development is at risk. Their brains will lack the rest needed to grow optimally, their insulin levels and metabolism may become imbalanced, and their immune functions can become compromised. 1. Create a clear transition time. Creating a transition that clearly delineates the busy day from times of rest is critical to lowering the high arousal levels that interfere with sleep. Shut down homework, technology and high drive activity, opting instead for bath time and reading. This signals our child's brain to slow down and relax. 2. Create a sleep-inducing environment. A child's language is play, and toys are their words - so imagine how fired up their brain system becomes as they scan a room lined up with stimulating toys. Instead, try placing toys in bins, well out of sight, and transition their room into a low-key environment with soft sheets and relative quiet. You can also help support your child's sleep cycle by keeping their room the perfect sleep temperature, around 60 to 70 degrees Fahrenheit (16 to 21 degrees Celsius). 3. Watch the lingerer. Children are notorious nighttime lingerers, with endless requests for a snack, a glass of water, another trip to the bathroom or just one more hug. Once you've filled your child up emotionally with that nighttime bonding time, let them know when they've reached the bedtime bottom line with a "last call for questions." Setting those final limits and sticking to them will give your little lingerer the firm message that their sleep is more important than extend-a-play. 4. Support the nighttime wetter. Once your child falls asleep, you want them to remain asleep, a goal that can be challenging for nighttime wetters. Nighttime wetting is an inevitable part of growing up (and it's more common than you think), but it doesn't have to be distressing. The best thing you can do for a child who experiences nighttime wetting is to manage the condition and instill a stress-free bedtime routine. Help your child understand that nighttime wetting is not their fault and is something their bodies will grow out of. Set the stage for a peaceful rest by using the right tools, such as absorbent bedtime pants or disposable bed mats, to help your child feel secure and relaxed before bed. 5. Teach self-soothing. When children finally fall into bed and tune into their internal cues, they can become bombarded with a flurry of thoughts. Irrational fears and un-metabolized worries from the day can activate their limbic system, disrupting both sleep and your child's peace of mind. Teaching children mindful diaphragm breathing, progressive relaxation, visualization and other techniques proven to calm their nervous system, can set them up for not only a good's night sleep, but also a lifetime of well being. Embrace how vitally important a child's sleep habits are to their development. Practice regular bed time routines and seek out products that will help mitigate uninterrupted nights. Helping your child create healthy sleep routines will encourage a good night's rest, for them, and for the entire family.